A Conservative government won't allow the abortion debate to be reopened in Parliament, because it's "not the priority of the Canadian people," Conservative Leader Stephen Harper says. A Conservative government won't allow the abortion debate to be reopened in Parliament, because it's "not the priority of the Canadian people," Conservative Leader Stephen Harper said Thursday. He made no mention of Planned Parenthood, the organization that was reported late Wednesday to be losing its federal funding as a result of pressure from opponents to abortion, according to a claim by a Conservative candidate. 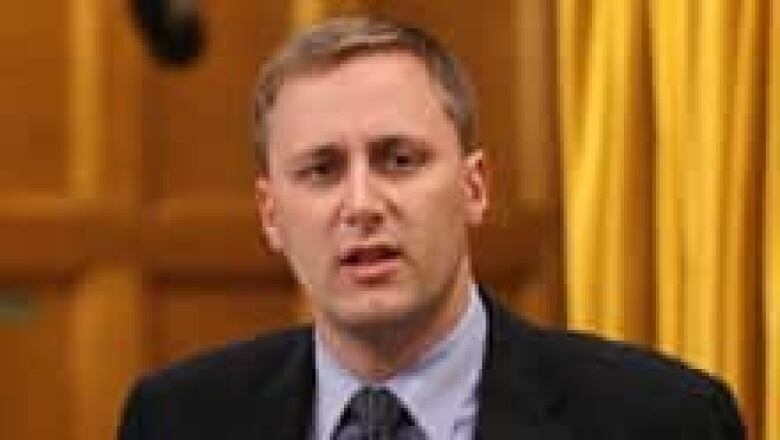 Saskatchewan Conservative Brad Trost said Saturday the federal government has decided to cut funding to the International Planned Parenthood Federation, a decision he said was influenced by anti-abortion supporters. "As you know, in our party, as in any broadly based party, there are people with a range of views on this issue," Harper said. "But I think I’ve been very clear as party leader.… As long as I’m prime minister we are not reopening the abortion debate." 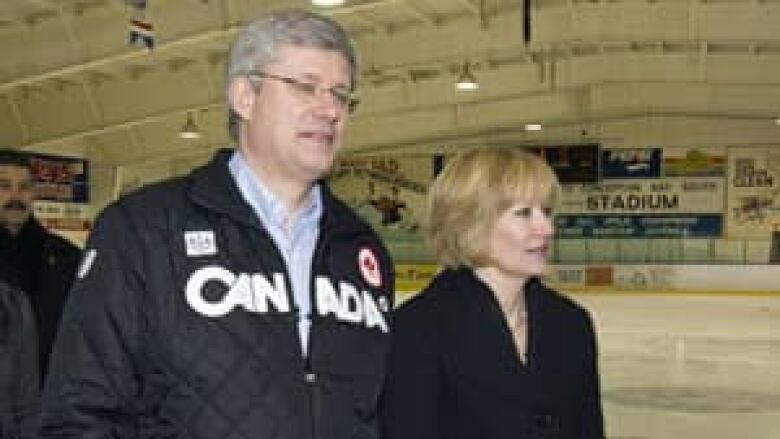 Harper was speaking at a hockey rink in Conception Bay South, N.L., where he was asked about access to abortion in the wake of Trost's reported comments. Planned Parenthood provides worldwide counselling and services, which include family planning, contraceptives, HIV-related services and abortion-related services. "The priority is the economy, and this is what we’re going to focus on," Harper said. Asked in French by a reporter whether he is personally for or against a woman's right to choose abortion, Harper didn't answer directly. "Very clearly I am against reopening that debate," he said. "That is my position, now and in the past five years as well, and as long as I am prime minister, we will not reopen the debate on abortion. We will leave the law as it stands." Conservative Leader Stephen Harper and his wife Laureen leave a campaign event in St. John's Thursday. He steered clear of both Planned Parenthood and any suggestion the Tories would allow the abortion debate to be reopened. (Frank Gunn/Canadian Press)Liberal Leader Michael Ignatieff said during a news conference on Thursday that his party will defend a woman's right to choose. "These Planned Parenthood stories are absolutely what Canadian women think, 'Wait a minute, what are these guys up to? What have they got in mind? Where are they going with this?'" Ignatieff said. "And we're saying, let's be clear. If you vote for the Liberal Party of Canada, you will be voting for a party that defends a woman's right to choose." The Planned Parenthood funding-cut revelation prompted a late-night press conference on the election campaign trail by Dimitri Soudas, the Conservative party's chief spokesperson, who called reporters travelling with the Harper campaign to an impromptu scrum shortly after midnight Thursday in St. John's. Soudas read from his smart phone, reiterating the basic talking points of the government's signature G8 "Muskoka Initiative" on child and maternal health. "I gather from media reports one of our members of Parliament has stated something to the contrary, but we have clearly laid out what our G8 initiative will focus on. Organizations like International Planned Parenthood or others that are willing to work with our government, we look forward to working with them as well on this important initiative," he said. Soudas refused to say whether Planned Parenthood would receive its funding. Thursday morning, the Conservatives issued a statement under the name of International Co-operation Minister Bev Oda, saying Canada’s G8 contribution is part of a $7.3 billion overall commitment. "If Planned Parenthood submits an application that falls within the government's parameters for the G8 Muskoka Initiative, there will be funding," Oda said. Planned Parenthood has been waiting for more than a year and assumes it has been cut off — similar to the fate of other non-governmental organizations that have fallen out of favour with the Harper government. "I can't comment on specific applications," Soudas said, but he said the government would work with "organizations like International Planned Parenthood that will focus its energy and efforts on the criteria that we have laid out." Brad Trost told the Saskatchewan ProLife Association's annual convention last Saturday that the federal government has decided to cut funding to the International Planned Parenthood Federation. The decision on whether to fund the organization has not yet been announced, but Trost, the incumbent candidate for Saskatoon-Humboldt, told the Saskatchewan ProLife Association's annual convention last Saturday that anti-abortion supporters who signed petitions played a big role in de-funding the organziation. In a recording of his speech, obtained by CBC News, Trost can be heard thanking those who had signed the petitions, saying his office was involved in spearheading the petition campaign along with other members of Parliament. "Let me just tell you, I cannot tell you specifically how we used it, but those petitions were very, very useful and they were part of what we used to defund Planned Parenthood, because it has been an absolute disgrace that that organization and several others like it have been receiving one penny of Canadian taxpayers' dollars," Trost told the group to applause. "And so there’s going to be a lot of vigilance and pressure, and if you and your groups hear anything, please help us as members of Parliament, because we’re going to be on the lookout as they try to get in there. I’ve got reports that they’re trying to get grants, and again we will be pushing back from the other side." The organization has said it had not yet been informed whether the Canadian International Development Agency would approve its $18-million grant. NDP Leader Jack Layton also expressed concern about the report on Thursday. "Our party has been very strongly in favour of a woman's right to choose, and to see the potential for that kind of influence in the backrooms of the Conservative Party naturally is worrying, because you want to help out in an across-the-board fashion to deal as Planned Parenthood has for so many years with women's health …," he said.